Home > Books > Captured! 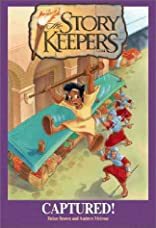 This series of Bible stories, from a BBC TV animated series, aims to introduce children to the story of Jesus and early Christianity in the context of exciting adventures in Rome. This episode tells the story of Cyrus who is sold to a rich Roman as an entertainer.